SANTA MONICA, Calif. — Tracey Ullman prefers pathetic. "I don't want to be the pretty girl. I just want to dress up and look terrible on TV," Ullman says of the quirky characters she plays on "Tracey Ullman's State of the Union," her new sketch-comedy series on Showtime (it airs in Canada on Movie Central and The Movie Network). "You know, I've always wanted to be the ugly stepsister or the person with the problem." Styled as a day in the life of America, "State of the Union" takes Ullman from coast to coast in a flurry of fast-flying impersonations. 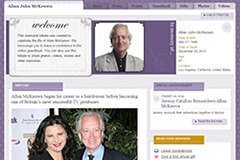 Ullman produced the five-episode series with her husband, Allan McKeown. "The show's title gives me an excuse to take the nation's pulse," says the British-born actress, who became a U.S. citizen in 2006 after living here more than two decades. On the "State of the Union" premiere Sunday, Ullman's cast of characters includes a weary illegal-immigrant worker in Manhattan, a tractor-riding farmer's wife in North Carolina, Speaker of the House Nancy Pelosi, political pundit Arianna Huffington, former "Sopranos" star Tony Sirico, soccer superstar David Beckham and Lindsay Lohan's mom. Upcoming episodes include Ullman's takes on Helen Mirren, Cameron Diaz, Renee Zellweger, and, in a send-up of Angelina Jolie's philanthropic efforts, a superstar from Malawi who comes to the U.S. to adopt American kids. But Ullman has a special fondness for a character named Gretchen Pincus, a tacky, teary-eyed, low-rent lady who meets her convict-husbands on the website deathrowpenpals.com. To go full-Gretchen, Ullman decided to smoke during production - after 21 years of abstinence. "To wear cheap clothes, put in some horrible front teeth with a big gap, smoke 10 cigarettes and, like, just sob - that's heaven on a stick for me," Ullman says. Chatting in her production office in Santa Monica, Calif., Ullman pulses with energy, morphing seamlessly, mid-sentence, into the show's various quintessentially American characters. 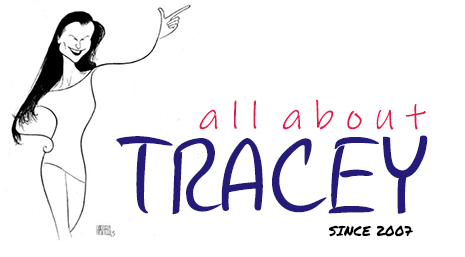 "Tracey is an American-o-phile," says Bruce Wagner, a writer-producer on "State of the Union." "She's kind of obsessed with America . . . Tracey wanted to show the entire spectrum of this country, not just political but emotional." That spectrum includes what Ullman calls one of her "weirdest" impersonations - her mutation into curmudgeonly "60 Minutes" commentator Andy Rooney for "a cathartic, truthful, improvised rant" in the show's fourth episode. "Tracey really does channel people," Wagner says. "If she doesn't feel the character somewhere in her heart and her stomach and body, it doesn't matter how brilliant the monologue, she won't connect to it . . . And once she's in costume, she's completely in character and she won't respond to anyone unless she's in character. She's almost in a trance." Ullman broke into U.S. television in 1987 with the award-winning series, "The Tracey Ullman Show," on the then-fledgling Fox network. In the '90s, she starred in specials on HBO, plus the acclaimed sketch-comedy series "Tracey Takes On." 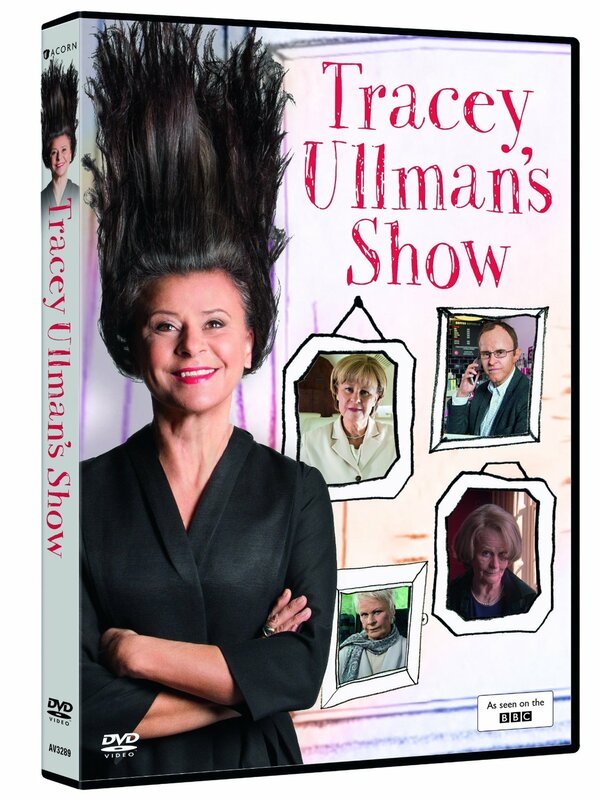 She returned to HBO with the 2003 special "Tracey Ullman in the Trailer Tales." With the move to Showtime, Ullman returns to her unique brand of sociopolitical commentary. "We've always had a great tradition of political satire in England," says Ullman, who has retained her British citizenship. "Now there's so much more satire in America than when I first moved here. "I like that Americans can laugh at themselves more . . . And now I want to join in, now that you've got problems," she jokes, referring to the state of the union's economy. "Now, as an American citizen, I can join the discussion and I won't end up in Guantanamo Bay."